In his Bootstrap announcement to the community, Squark posted this basic information to help us get started. Since a while our team was thinking about a milestone, which would bring completely new quality to the Wikidot. You may have noticed that Wikidot's look is not fresh anymore. It's time to change that. We're introducing new features - layouts and bootstrap-based themes. At the moment, it's tested by several users, but we want to expand it for everyone, who would like to check it out. Layout is created using HTML together with our modules, i.e. Modules can also be used within [[if]]...[[/if]], e.g. Which means, that Wikidot will display breadcrumbs only if the page contains parent page and sidebar will be displayed only if the theme is set to use sidebar. [[if]] can't be nested. When creating a custom CSS theme, from now on, users may choose Bootstrap to be loaded (CSS and JS), which together with the layouts will give almost infinite possibilities to create beautiful themes very easily. Many elements from Wikidot's interface already have Bootstrap classes added. We do realize that there is still much work to do on our side, but we really hope you can help us improve this new feature, take requests for classes and styles to be added to interface elements. 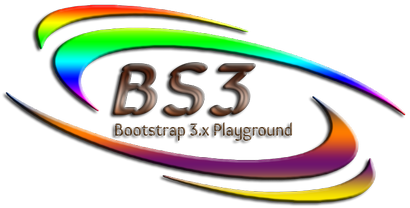 We also hope that you'd like it and would use Bootstrap extensively, as it is so much powerful! We're also adding FontAwesome to the Bootstrap to boost it up even more. If you want to test Layouts & Bootstrap, please leave a comment. I do have to tell you though I am a total virgin when it comes to any of this stuff . But I love to learn and thats why Im here. Thank you.